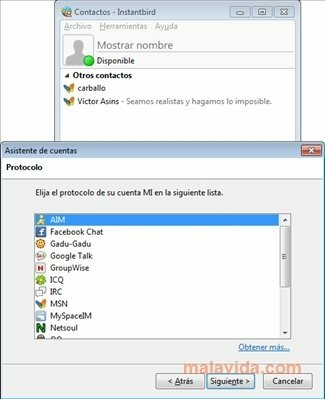 The Mozilla foundation develops important software project focused towards Internet, like for example the Firefox web browser, the Thunderbird electronic mail client or InstantBird, their instant messenger client. And all of them have something in common, as well as their names that are themed on nature and animals, and it is its great quality. 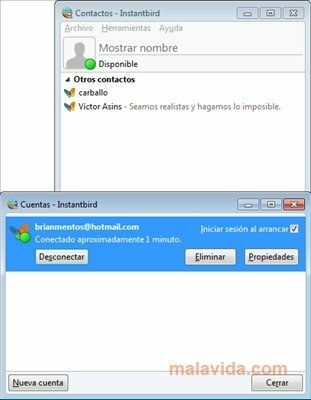 InstantBird is a multi-protocol instant messenger client that allows us to connect at the same time with different messenger services like MSN, Netsoul, AOL, Gadu-Gadu, IRC, MySpace IM, Google Talk, ICQ or Yahoo IM. 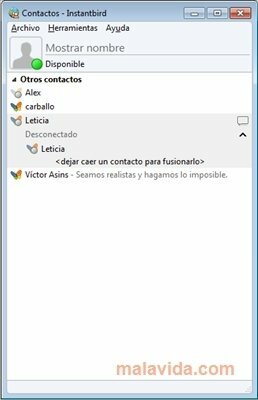 This is very interesting when you want to manage your contacts from different networks from the same application. 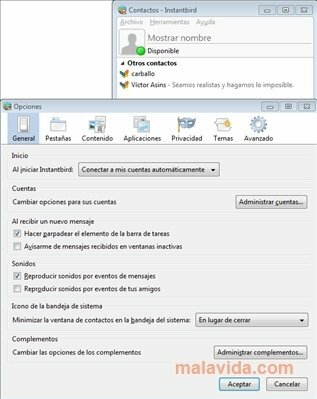 As an additional advantage this application allows the installation of complements to increase its functionality. What's more, it is free, so you can use it whenever you want, and open source, so any user with programming knowledge can make their own adaptations and improvements. In respect to its user interface, it it very similar to Pidgin.